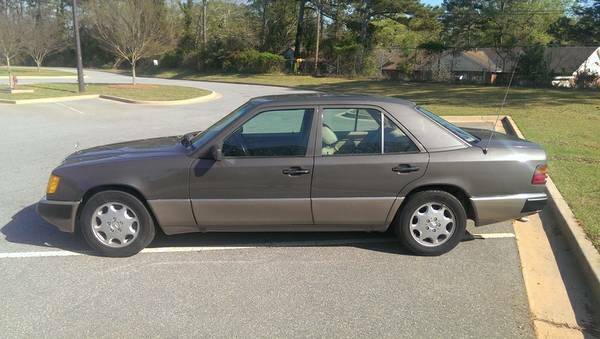 Perhaps the 300E with Chevy 350 V8 just wasn't your thing -- that's fine, nobody is going to judge you around here, in fact, I've got something for the non V8 swapper -- a nice looking original 300E for a decent price from a regular DT reader. 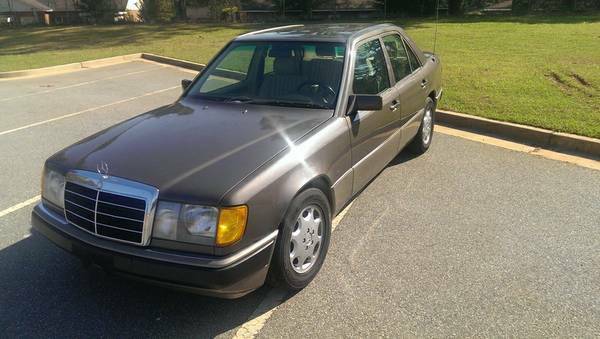 Find this 1993 Mercedes-Benz 300E offered for $2,900 in Macon, GA via craigslist. Seller submission from Sir Montalbon. If that last Frankenbenz had you feeling like you should be screaming "Khaaaaaaan!" from an abandoned planet (no...not even a little bit?) then this should sooth down your inner Kirk. The W124 chassis is a fine piece of craftsmanship and these things will last long into this century with basic maintenance and care. 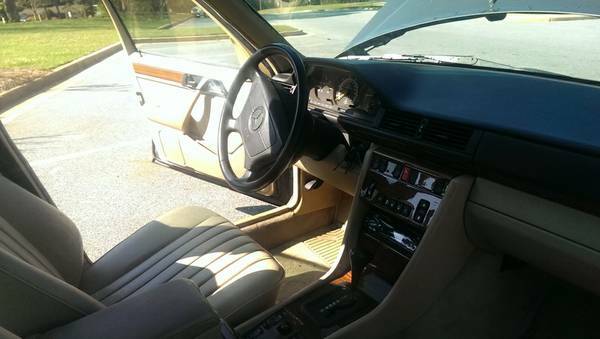 The interior is excellent for its age. MB Tex vinyl looks almost new, with zero rips, tears, or creases. Carpet is clean. Wood is intact, with just a few cracks in the center console, which is very common. Also has a rare wood lock box under the center armrest. The exterior would be a 9/10, but about a year ago I lightly backed the car into one of my other cars in the driveway (oh, the humanity!). In the pictures, you can see a small crack on the rear bumper, and the driver's rear corner is dented up. There is slight surface rust there, but the corner is still solid. A body shop quoted me $500 to fix. There are also small cracks in the front lower bumper section, but are not very noticeable. Other than that, the car has no rust anywhere and nice 2 year old Euro headlights and restored trim all around. The car runs and drives very well, however, it does have a few fluid leaks. The car drips a little bit of oil and a little bit of transmission fluid. I keep an eye on those and have to top them off about every 1,000 miles. There is also a recent power steering leak that I am trying to get fixed before the sale. Despite these drips, the car still runs and drives very nicely. From the "Mine is bigger than yours" file: Christmas Eve, 2014, I backed my ex-wife's GL350 into my 991 as we were leaving for our friends' holiday party...into the driver's door and fender. I got out, took a look, got back in and drove to the party. Had a great time.